We recently spent a great day at Singapore's River Safari with 2 of our friends. We were checking out all the Animals; and of course catching the star attractions, the Pandas. When you're surrounded by so much cuteness and have had the conversation; of how you want one as a pet several times, time runs away from you. We were well overdue for lunch (it was about 3pm); but luckily we had planned ahead, and Pizza Fabbrica was always part of the plan. We had heard about Pizza Fabbrica from our Foodie WhatsApp chat group so there was already a strong desire to try it out. 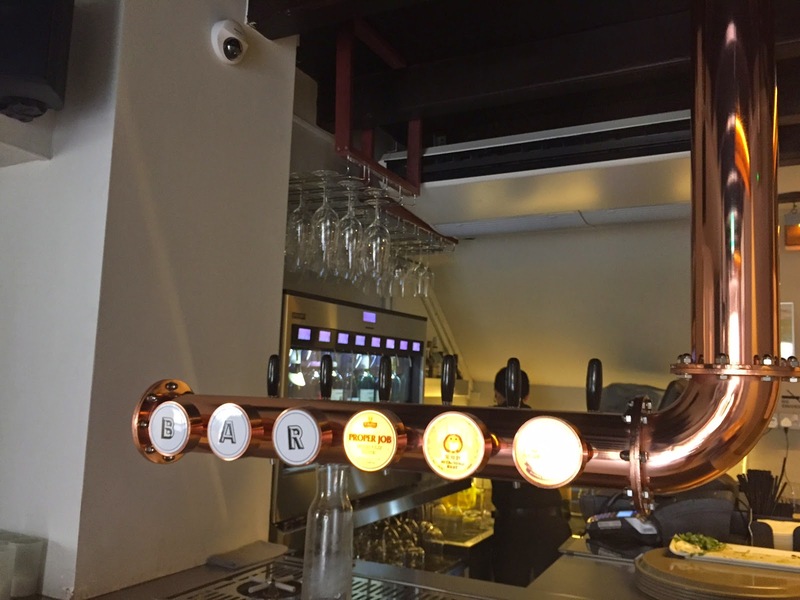 We all had grand visions of finding a great Italian place in Singapore; especially as many of us had been spoilt by awesome Italian food from our recent trips to Rome. After waving goodbye to the Pandas; and waiting a long time for a cab, we were finally on our way to Pizza Fabbrica! We were fairly hungry by the time we got to Pizza Fabbrica but were seated very quickly. The first thing we noticed about the Restaurant was that it had an indoor/outdoor flow so that you can still see people wandering about outside, but it also made the space open and inviting. We liked this a lot as it was modern and contemporary. 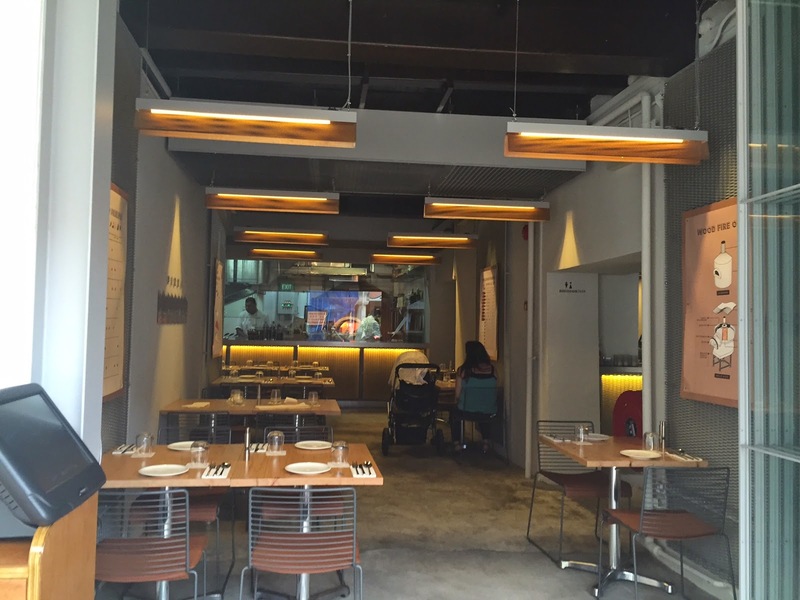 The decor and interior design was also clean and minimalistic so the restaurant didn't feel cluttered or cramped. This was great as it gave each table a bit of privacy. At our table we were asked if we wanted still or sparkling water; we chose sparkling, and another great thing about Pizza Fabbrica is that the water is free. No charge at all as it is like their "house pour water". You can still buy the branded bottled water if you want though. 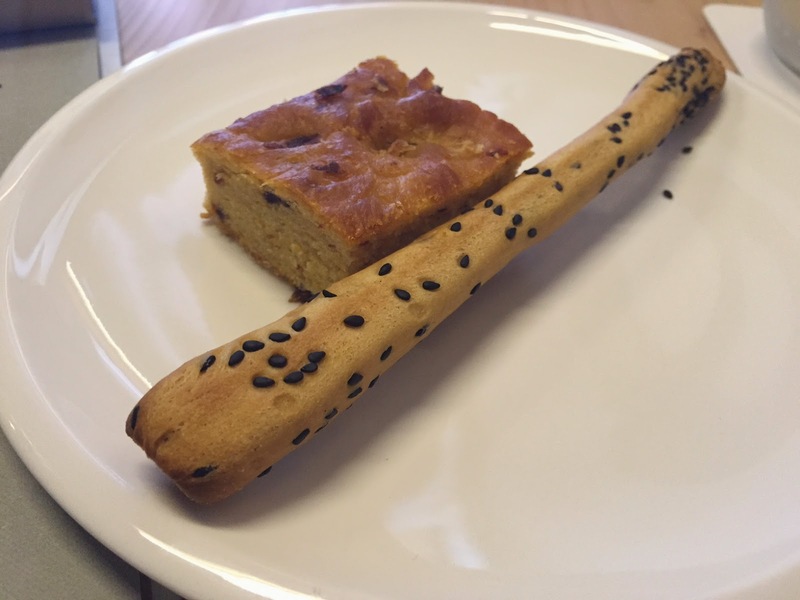 Soon after we were served water, we were also served some bread sticks and sun dried tomato bread. A great way to get our appetites ready whilst we waited for our order. The Pizzas were just too hard to resist so 3 of us actually ordered Pizzas and 1 person opted for Pasta. 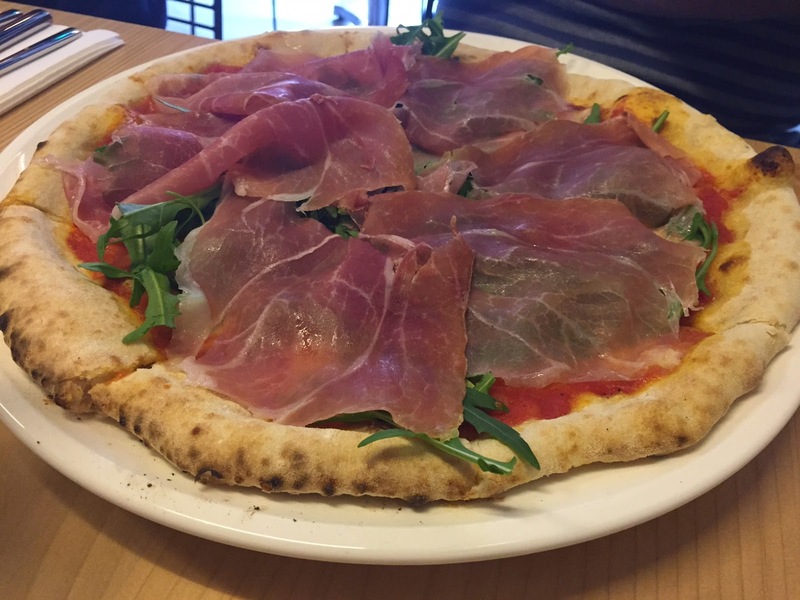 The first Pizza was Prosciutto Crudo con Rucola. This was a tomato base Pizza and had a very generous amount of Parma and Rocket. The type of Mozzarella is Fior di Latte so it is a bit more milky. Our out of town visitor was pleased with it and said it was tasty. 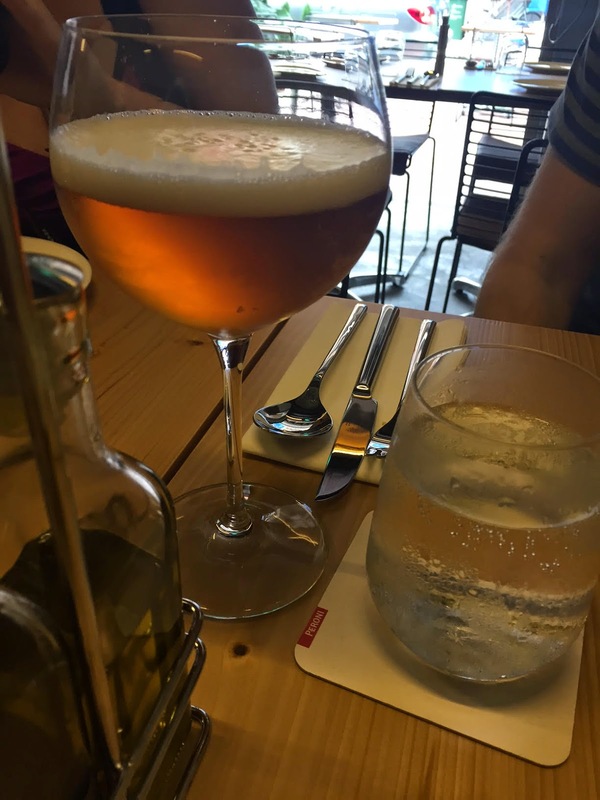 He washed it all down with a Beer called Proper Job which is available on tap. Second Pizza was a white pizza; Funghi Scarmorza, with Fior di Latte, Porcini Mushroom, Scarmorza Cheese and Truffle Oil. This was my Pizza and I loved the Porcini on it; I'm a really big fan of Mushrooms, and the subtle aroma of Truffle Oil was awesome. 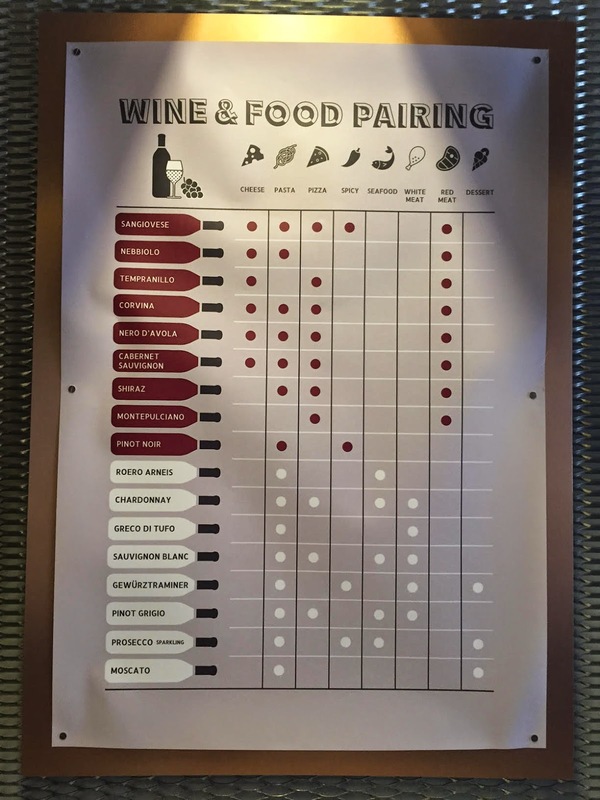 The Truffle taste went well with the stronger tasting Scarmorza and actually lifted it a bit to make the Pizza sensational for the taste buds. 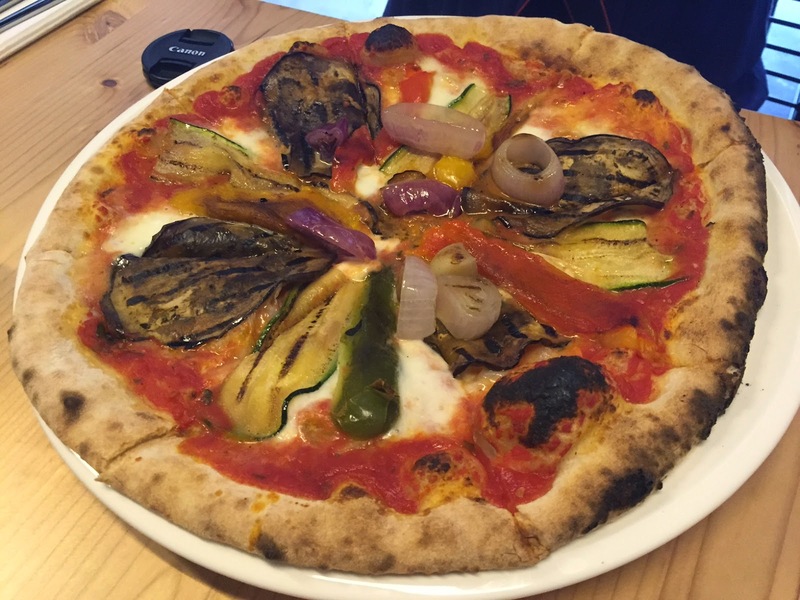 Third Pizza was the Vegetariana; with Fior di Latte, marinated and grilled Eggplant, Peppers, Red Onions and Zucchini. 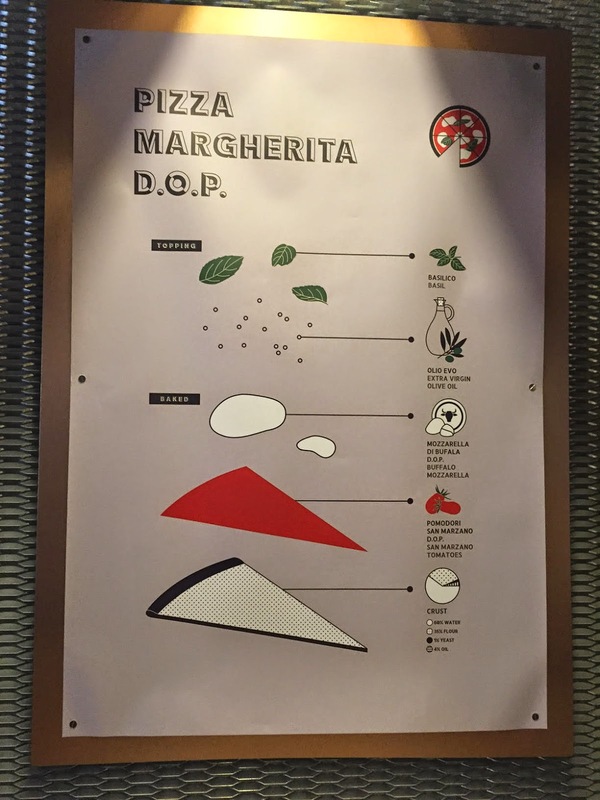 "D" had this and she is our very own Pizza Expert. We trust her without a shadow of a doubt when it comes to finding great Pizza! She did enjoy it; the ingredients were tasty and fresh, but she found that the Pizza dough wasn't quite right. It was still a bit chewy in the center and wasn't quite crispy with that wood fire oven goodness. D's conclusion; it was late in the afternoon coming up to 4pm, and the oven hadn't quite warmed up leading up to the evening dinner service. She was absolutely right and reigns supreme as the Queen of Pizza. 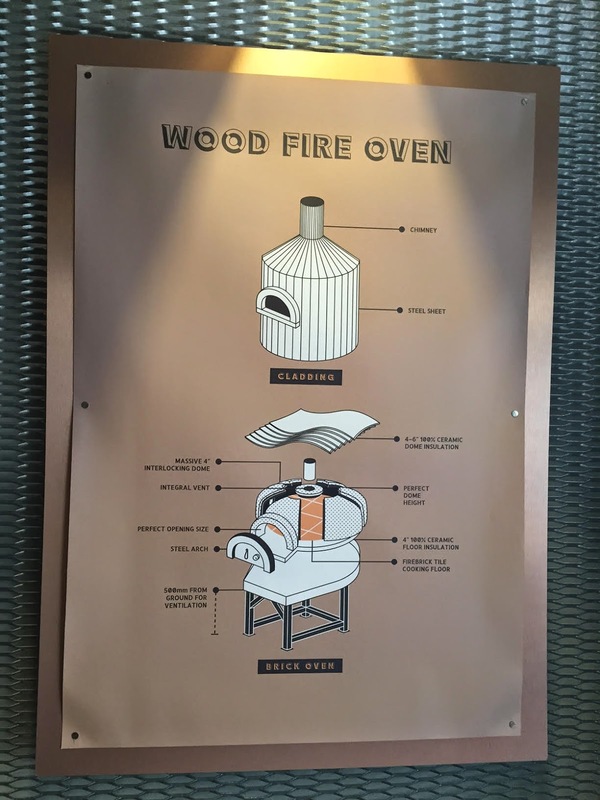 This was a great reason to come back and try the Pizza again when the oven is in full "blast". And last; but not least, the Pasta. When "P" spied the Carbonara on the menu, she couldn't resist. 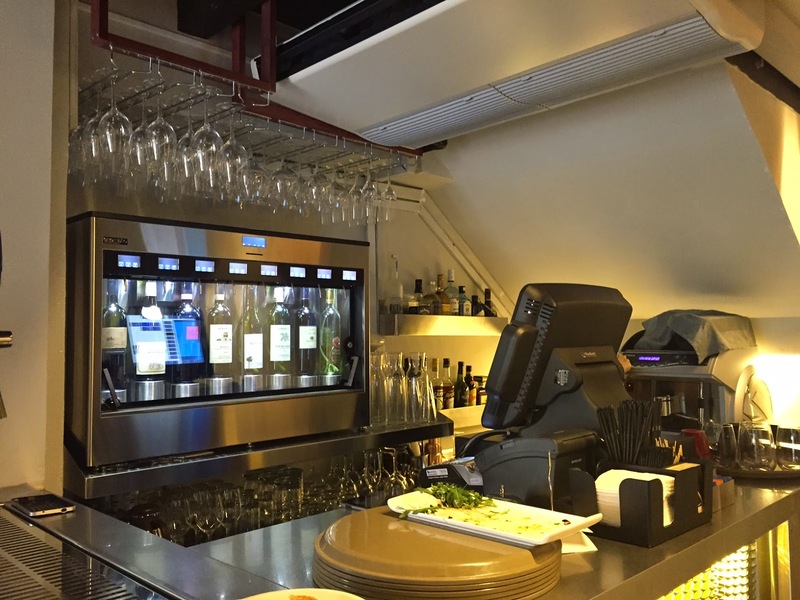 Will Pizza Fabbrica make it in the true Italian style and let her relive your Rome holiday memories? Only one way to find out. The Spaghetti alla Carbonara had to be ordered. The Spaghetti is accompanied by Pancetta, Eggs and Parmigiano Reggiano. On the menu it looked good, no Cream in sight as an ingredient. 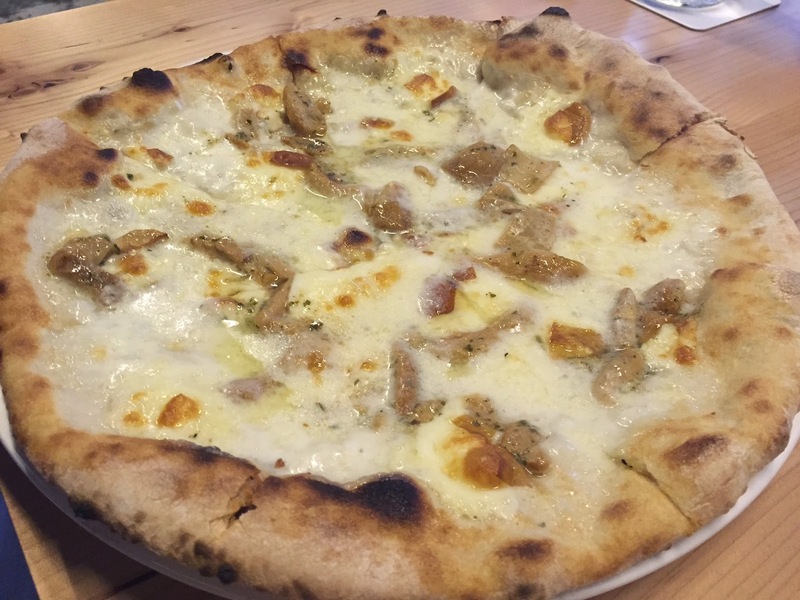 Pizza Fabbrica is the new kid on the block and could become one of our favourites. 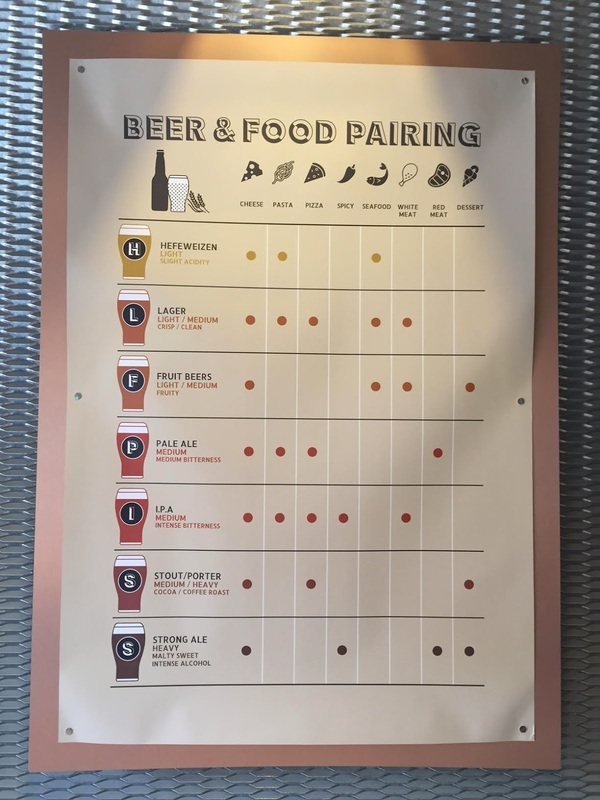 The fresh ingredients, free sparkling water and the potential for great Pizza and Pasta dishes was there. Really can't wait to test out some other Pizzas when the wood fire oven is at its optimum temperature. 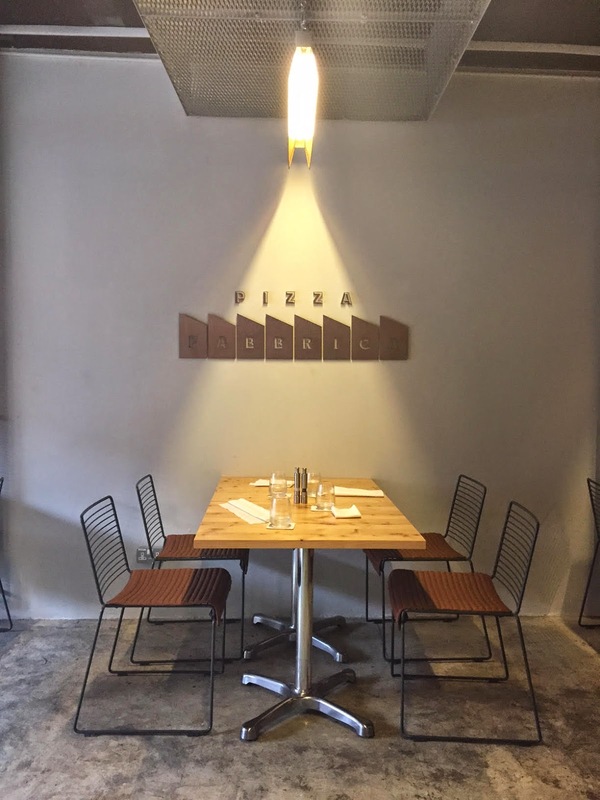 The Pastas will also be a treat and Pizza Fabbrica is definitely worth exploring again. We will be back and hope there will be some limited time specials from time to time to keep things interesting and our mouths salivating. 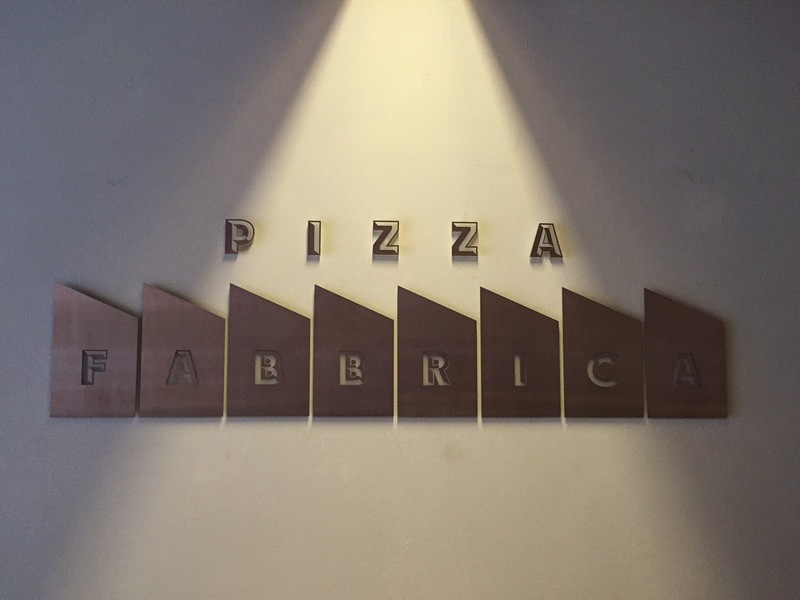 Give Pizza Fabbrica a go! Where's your fave Pizza place where you live? You got the carbonara right but the pizza wrong (sorry!). Naples style pizza is never ever ever crispy. It is a soft, slightly springy pizza. Oftentimes the center of a Naples pizza will be soggy! But the napoletani don't complain! Roman pizza, by contrast, is thinner and even slightly crispy. That said, thanks for the helpful review! Thanks for sharing your thoughts. That is the very reason why we want to travel more and experience different styles of Pizza. There is a bit of an art and style to it; so it seems :) Your remark about Naples style Pizza reminds us of our fave place back in New Zealand. The base was never crispy and the center was definitely soggy with the juices of the ingredients. It was awesome. 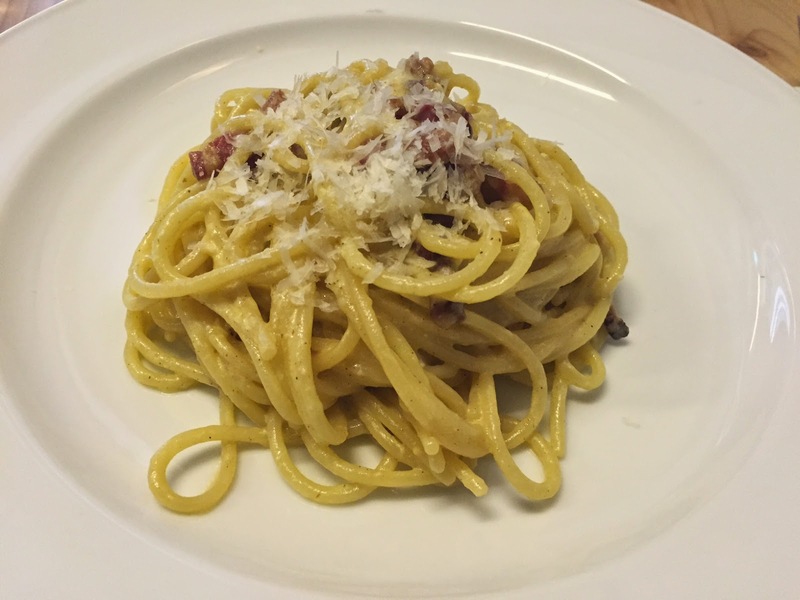 Carbonara; yes, we're really well versed in it now. No cream in ours please. Glad you found the review helpful. Have you tried it yet? When it Storms, it really Storms in Singapore!